Modern art forms can often be dismissed for their seemingly anaemic, soulless character. The glacial shades of grey along with the rigidity of straight lines and cubic shapes can often alienate those who are more inclined towards the warmth of vibrant hues and luminous matter. Yet even the palest of colours may vary in shades and the most geometric of expressions can expose the greatest of emotional curvatures. OBSIDIAN KINGDOM may have sketched an icy, linear picture with "A Year With No Summer", but beneath the frosty crust of this post-modernistic exhibit lie the sound, evocative explorations of refined creativity. As with most pieces of modern art, it is hard to designate "A Year With No Summer" as a weaver of one particular thread - as its specific blend appears to brandish elements of Progressive-Rock, Post-Metal and even Black Metal. I suppose that if Darren Aronofsky were to make music it would sound something like the record at hand. Yet when this album introduces you to its unyielding climate, genres become of no use, for as it whirlwinds around you, it engulfs and sweeps you away to unexplored territories - to lands of animated structures with metallic edges and graphite streaks. The opening number (also the title track) opens up the dams and submerges the listener in cool waters that wash over the mind with tactile volume swells, delicately placed drops of harmony, drum palpitations and bursts of chordal dissonance. 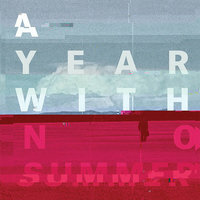 It is difficult to single out one particular song on this record, for "A Year With No Summer" is a product of convergence. It is an amalgam of linear sonic landscapes that fuse together almost seamlessly to create a singular introspective narrative - an ethereal meditation. The album's progression is a cardiogram of a cool yet vivacious heart. Whilst "Darkness" pumps a stream of groove into the placid veins with intricate percussive patterns of Ojete Mordaza II and Om Rex Orale's jagged, gritty bass tone, the abstractionist opus "The Kandinsky Group" delves into progressive circles with the minimalistic approach of Malevich, dripping, surrealist guitar lines, and wails of a Nietzschean apprentice - in this case the very emotive and diverse vocals of Rider G Omega. The songwriting on "A Year With No Summer" is complex, elaborate and unconventional; but that where its creative power lies - at times dormant but always harbouring bursts of incendiary energy. The songs - taking the closer "Away/Absent" as reference - resemble extensive, impassioned jam sessions that manage to encompass every possible mood without breaking away from the band's unique sound. And whilst they never present you with anything that is particularly arresting, they nonetheless manage to leave an impression. The production is extensive - including a variety of electronic and effect-laden elements on tracks like "Black Swan" - but it still curiously allows that band to retain a raw, unprocessed sound – a surprising yet truly fine accomplishment. For fans of such institutions as CULT OF LUNA's "Vertical" this will be another one for the playlist. With "A Year With No Summer" OBSIDIAN KINGDOM have drawn a monochromatic vision of urgency and temperamental confusion. It is a record that will make you think…feel…and imagine.